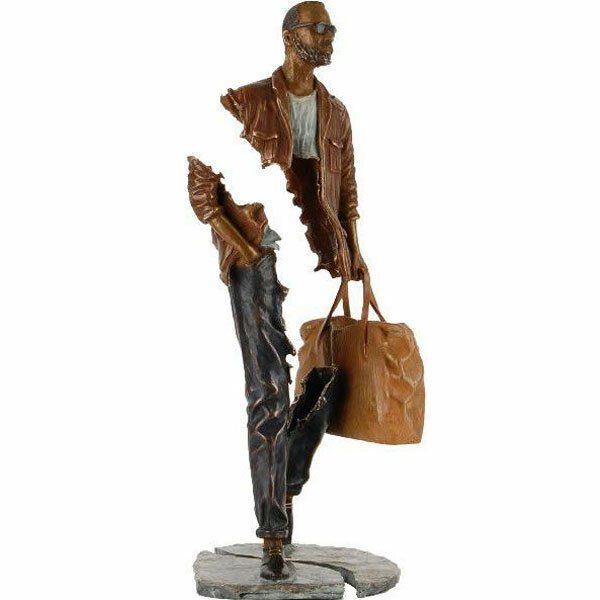 Famous casting bronze sculpture bronze Bruno Catalano sculpture garden decorative Crafts Ornament Casting copper Bruno Catalano Bronze … Famous Bronze Bruno Catalano Sculpture. 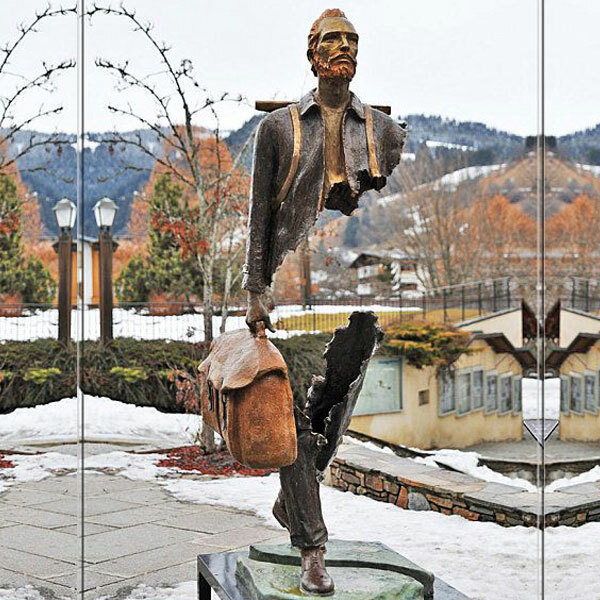 Surreal bronze sculptures with torsos missing. 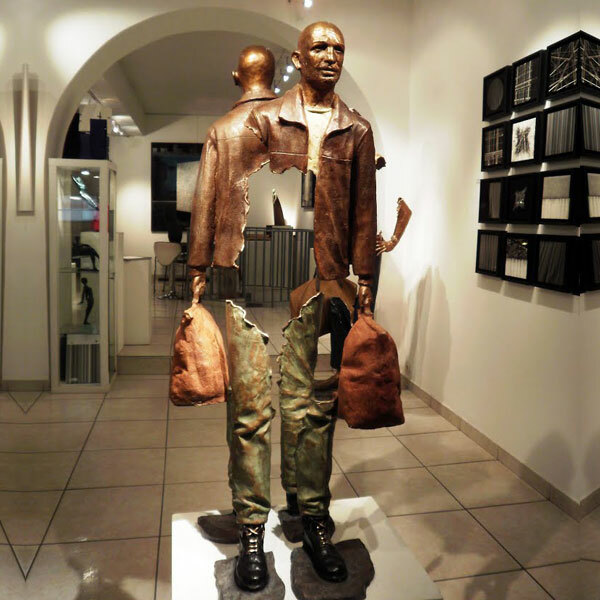 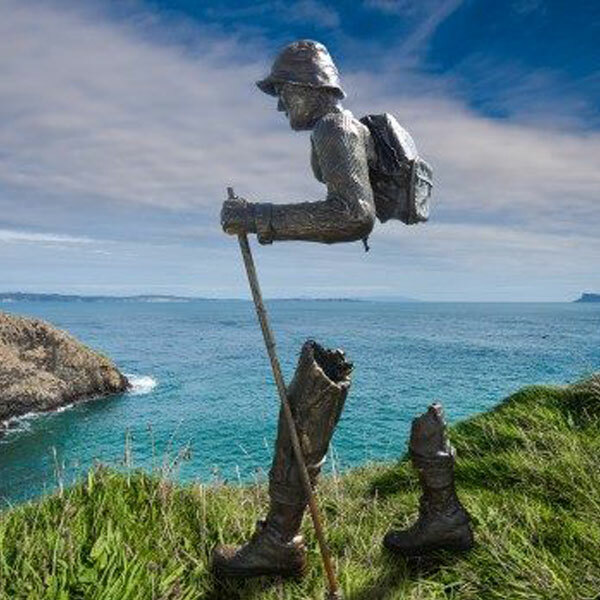 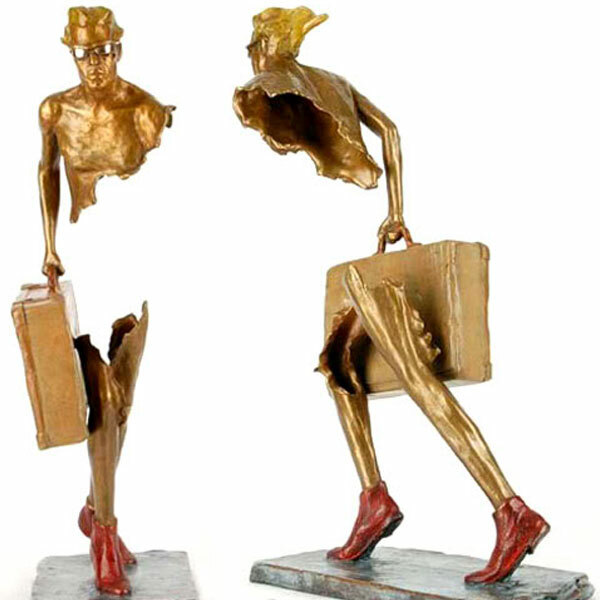 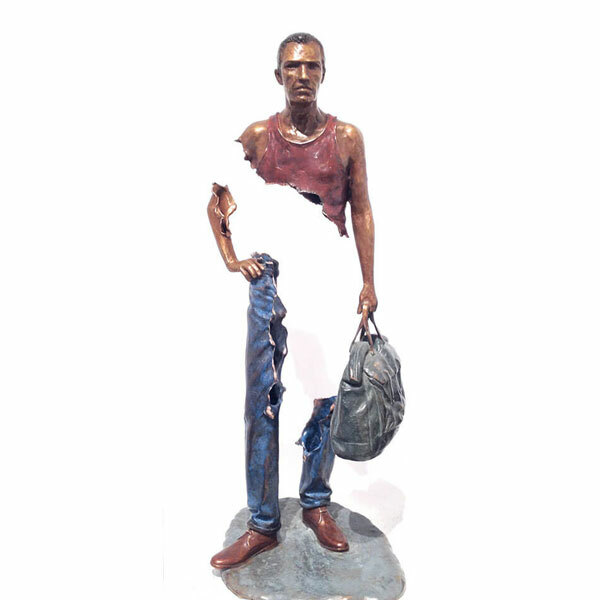 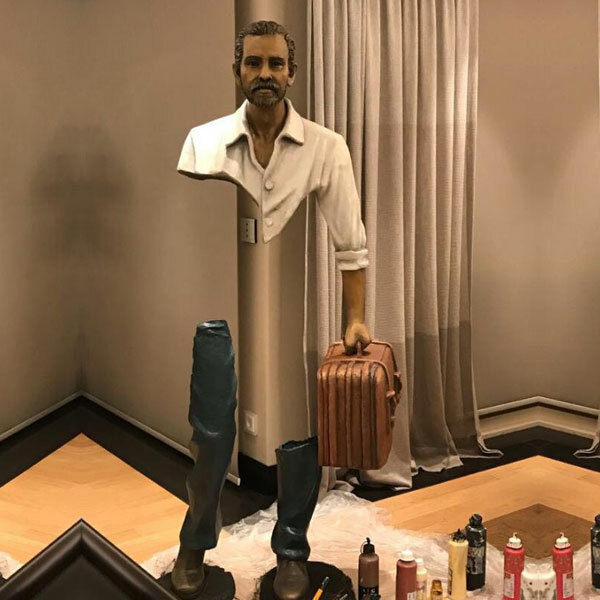 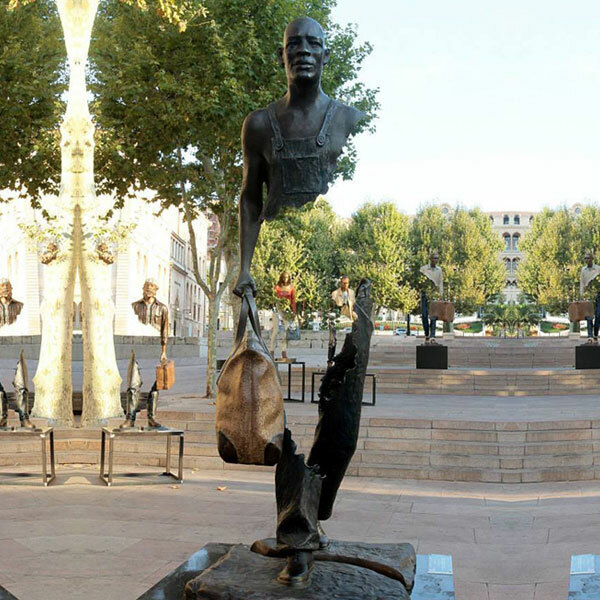 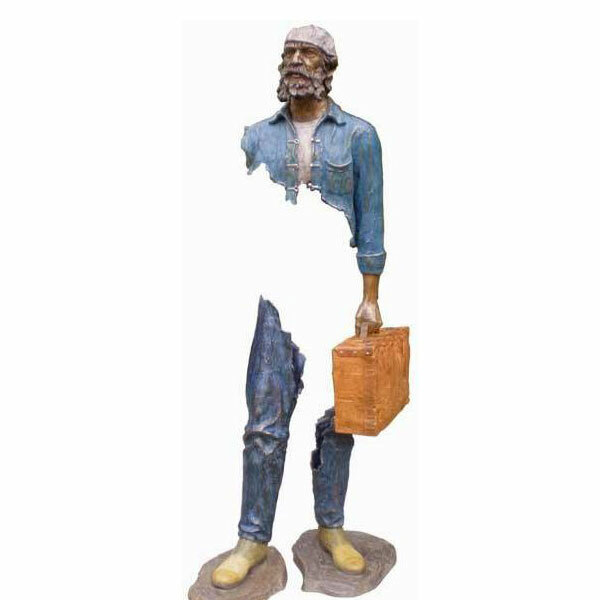 In French artist Bruno Catalano’s recent sculpture series Les Voyageurs, life-sized travelers carry luggages, bags and a serene expression on their face, seemingly oblivious to the fact that a huge part of their torso is missing.